When you think of wedding photography, what comes to your mind? You may think that photography is just as easy as standing in front of a camera and snapping photos, but this just isn’t the case! When it comes to your wedding photography, you will want to be presented with flawless photos, images that you will be proud of! Therefore, when it comes to booking your wedding photographer, it is important to understand why they present the prices that they do. -Quality Equipment. Without top of the line equipment, your wedding photos would be lackluster. Your professional photographer will be presenting quality equipment to ensure that your images shine! From cameras to tri-pods, accompanied by a steady hand, your wedding photographer will be all set with the necessary gear to ensure that your wedding photos are flawless. -Great Experience. Your potential photographer has a passion for what they do. Weddings aren’t just a side gig for your photographer, as they have fully dedicated their time and energy to capturing weddings. Having gained experience over time, you can expect you photographer to present you with images that are creative and unique to you and your big day. -Additional Angles. A wedding is filled with an array of events! And, each event can be viewed from many angles. By utilizing a second photographer, you can ensure that no special moment goes without recognition. After all, one photographer can’t be everywhere at once, and your wedding photos deserve to showcase every festive angle possible of each event that takes place. Wedding photography is such an important part of your big day! These are just a few reasons as to why your professional wedding photographer presents the prices that they do. Here at M Place Productions, as a wedding photographer in Las Vegas, Nevada, we would be grateful to capture your wedding day. 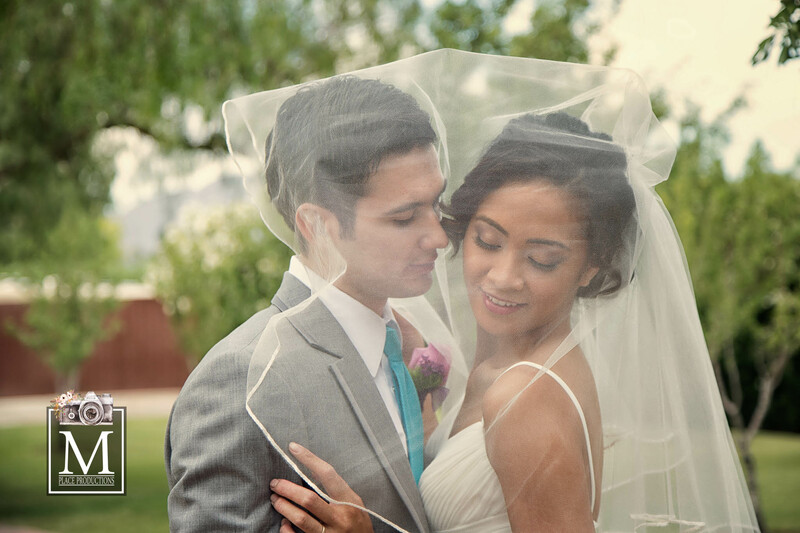 Please contact us today to book your Las Vegas wedding photographer.